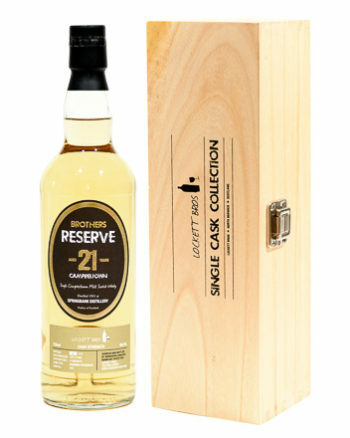 Lockett Bros were extremely lucky to have the opportunity to bottle a very rare and spectacularly good bourbon hogshead Springbank 21yo Single Cask. Don’t miss out on one of these 235 bottles. All individually numbered with wooden box.